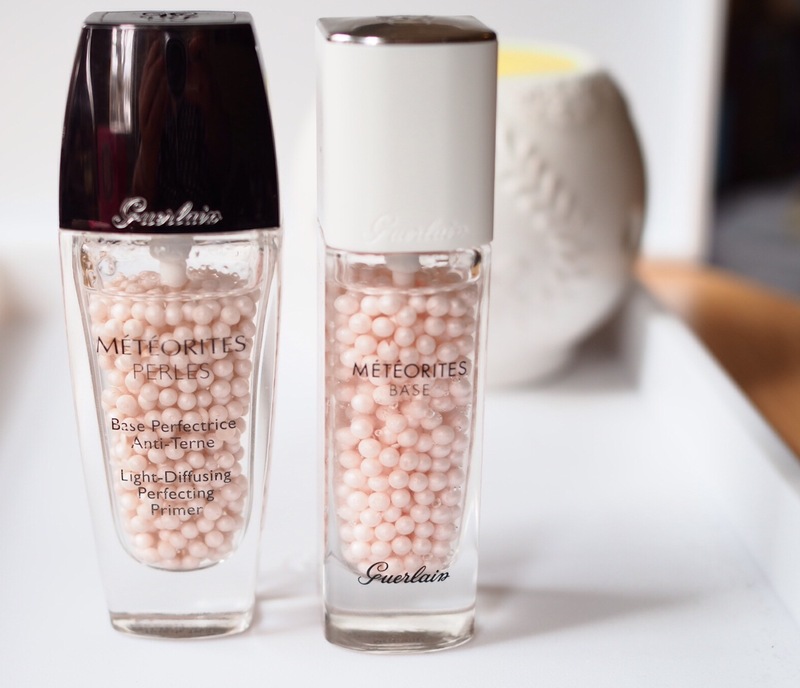 Guerlain recently reissued their Meteorites Perles Light Diffusing Perfecting Primer as Meteorites Base. I just happen to have a bottle of each, so I thought a comparison might be useful. In the picture above, the bottle on the left is the original and on the right is the new version. Both bottles contain 30mls. On first sight, the major difference is the colour of the perles, in the original (left) they are a little greyer, and the new perles seem both bigger and a brighter pink. Both look stunning in the bottle though, and I have to say that I much prefer the sleeker bottle of the new formulation. The new formula (right), seems a little runnier, and just a little lighter on the skin. But, once outside of the bottle, the differences in the perles almost entirely disappear. 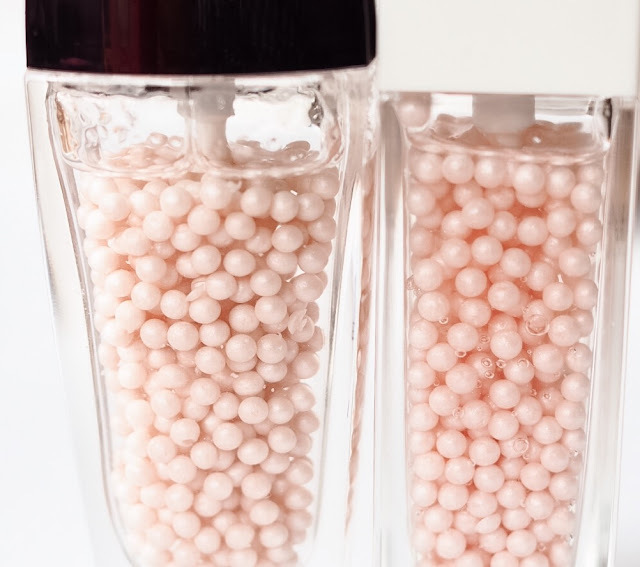 Again, on swatching the differences in the perles aren’t that obvious, and the formulation for both seems very “wet” (and I do find this to be a quite hydrating primer, even though it’s sold more on its brightening properties), and the new formulation is the one that sinks in more easily. 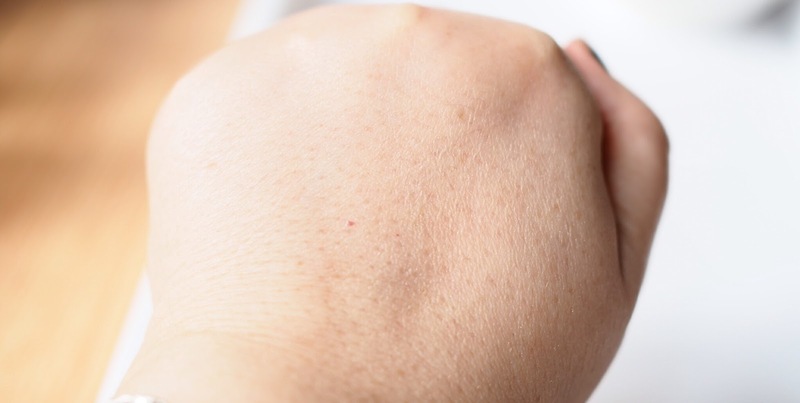 Once blended in, skin seems softer, plumped up, and yes, more glowy. In all honesty, I can’t really tell the difference outside of the bottles – which is no bad thing, really, I hate when reformulations really muck about with what you liked about a product in the first place! – it’s still a good, hydrating, and lightly glow-giving primer that gives just a little oomph to the skin without being sticky, or giving you a sparkly, or slightly metallic finish. Particularly if you’re a pale-skinned person, you’ll like this one. I don’t find either formulation gives that much of a longevity boost to your foundation, but it will make it glide on better. The new Guerlain Meteorites Base is available in-store now, and costs £46. Are the spheres solid, or some other kind of biochemmical wizardry where they form spheres in the clear fluid, but smoosh in the pump? Thanks for an interesting review. I've always fancied trying a guerlain primer.